When Fr. Joseph Isbister died several years ago memorial money was set aside for future purchases of items for Trinity Church, Kingston, New Hampshire. 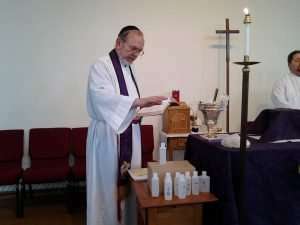 Father Joe loved to sprinkle the congregation with Holy Water on those Sundays he was the celebrant. 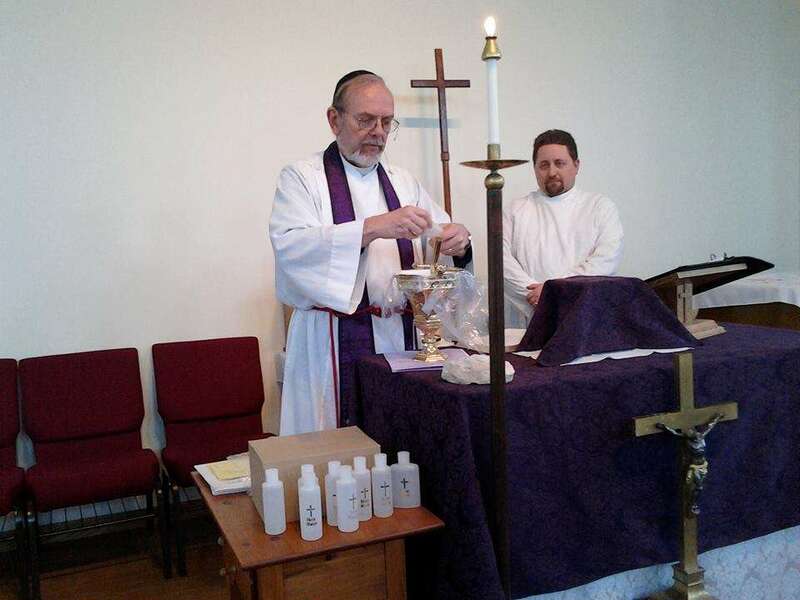 On Sunday, March 4, Trinity’s Rector, Canon Mark Pearson blessed a holy water pot and sprinkler (also called aspergillum) in his memory. Trinity Church is one and longest-serving churches in the Charismatic Epsicla Church started in 1980.